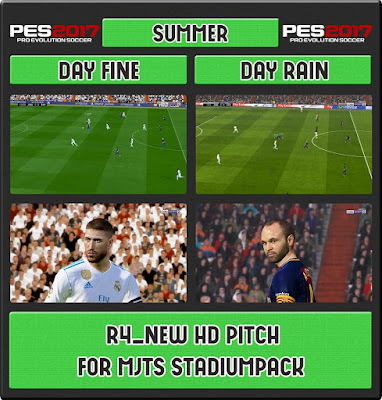 New pitch for Pro Evolution Soccer 2017 by R4_HD. 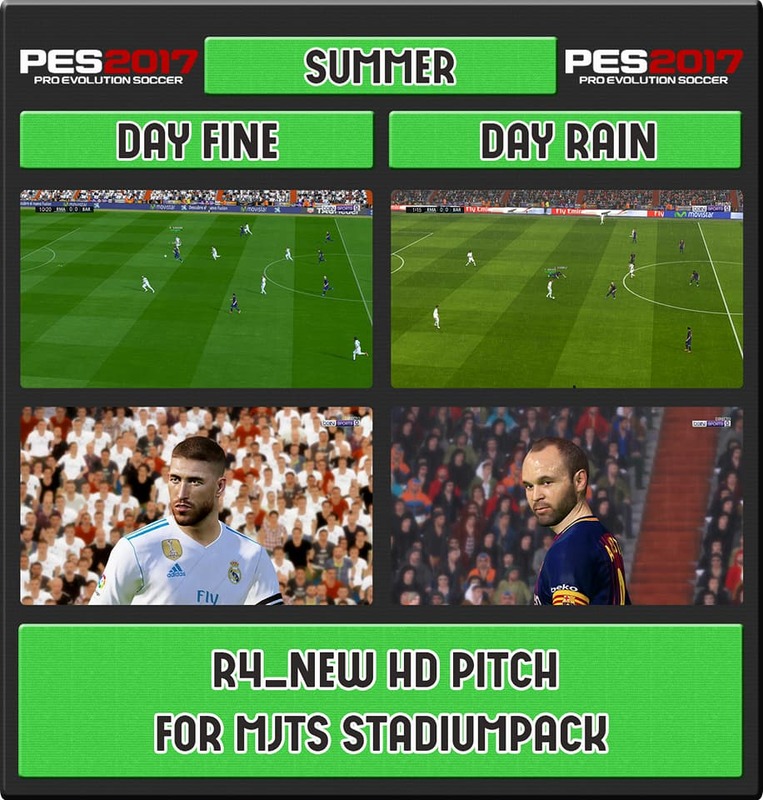 This amazing pitch works best with MjTS-140914 Stadium Pack. 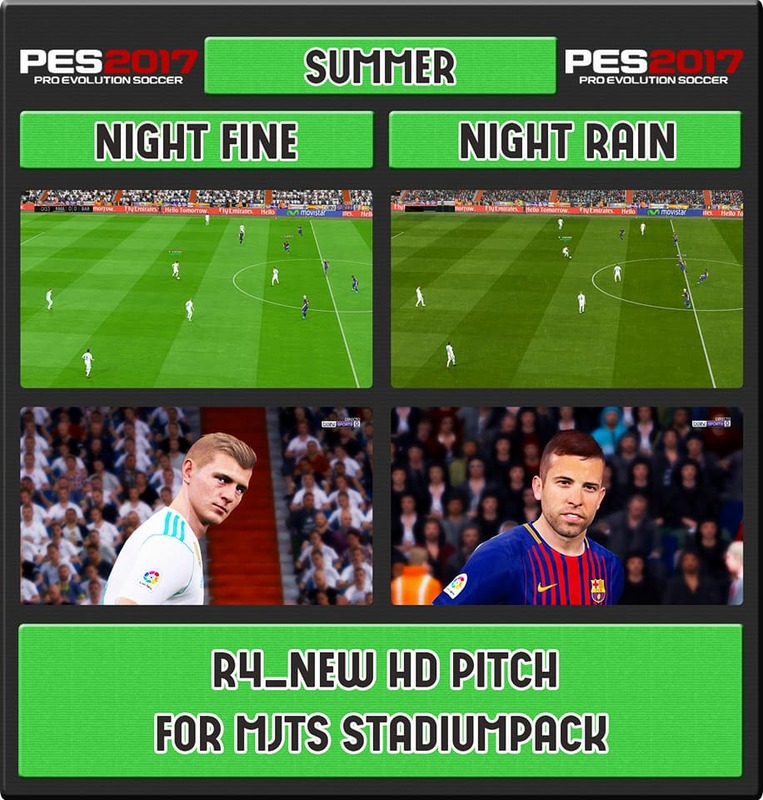 You can see some features of PES 2017 R4_HD PITCH For MjTS-140914 Stadium Pack below here. 1. 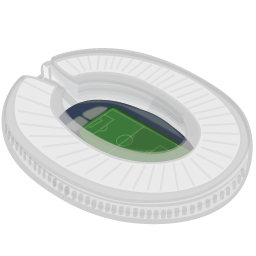 Install MjTS-140914 Stadium Pack here. 5. 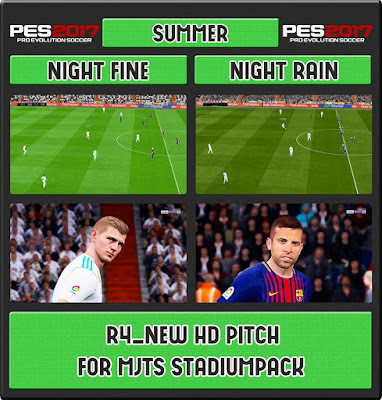 Click Generate and play !